Yes, it is true that snakes can be very dangerous, but I want to convince you through this article that we should not be so afraid of those. We don’t like snakes because they are not the most beautiful animals in the world, but this does not mean that they are not useful. I had the chance to live in an area with many snakes, and even if I learned how to stay away from their poisonous bites, I also learned that snakes are really useful for nature, and beautiful to observe in nature. 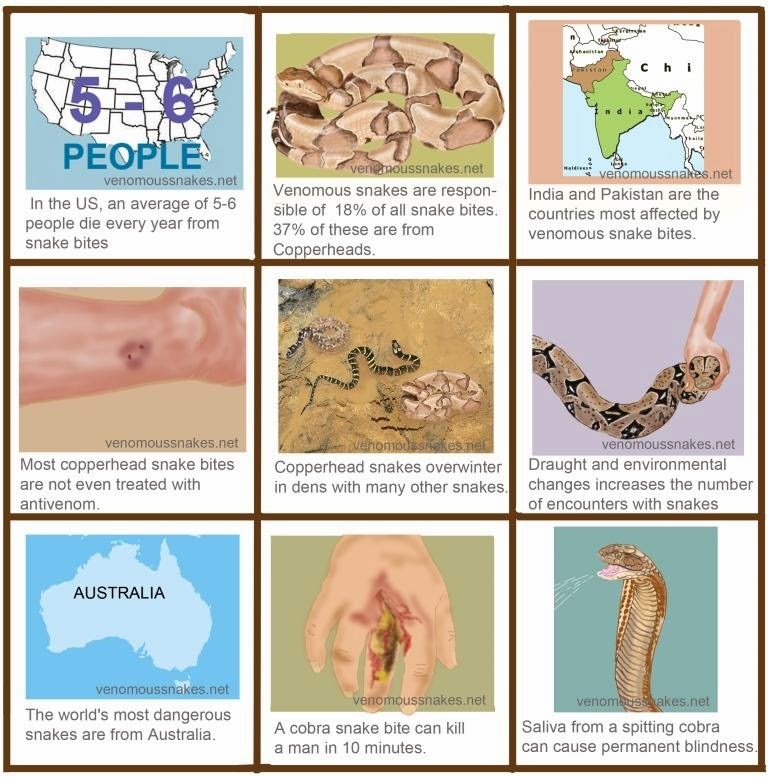 The bites of poisonous snakes can be dangerous. Those can paralyze or accelerate the heart beats, and they can also affect the entire circulation of the blood. The water snakes that live in seas also have a venin that attacks the central nervous system. How should you avoid those? The snakes like to stay on rocks during the sunny days, and usually, they are in a dormant state when they do so. The snakes can rarely be found on the pathways of humans. You can also find those in holes of trees, in bushes, and in underground galleries. The simple method to avoid snakes is to walk only on pathways, and if you see one, you should leave it alone. I did that for quite a while, and I managed not only to stay alive, but also to like those incredible beings. - take the threatening behavior of the snake seriously. Snorting, agitating and lifting the front side of the body is a sign that the snake does not like something, and that something is probably you. I usually go away as far as possible! - when I am walking around the forest, I walk fast, with decided steps. The snakes can’t hear, but they can feel the vibration of the earth, and the majority of them run if they have the possibility. - I always have a flash light during the night. The nocturnal snakes are the most dangerous ones, but they also run away when something is not in order. I always check the pathway with the flashlight, as well as the bushes near the road. A snake will definitely run when you put the beam of a flash light directly on it. - Never touch a snake, even if you assume that it is dead! The closest experience to being bite by a snake was when I thought that I found a dead snake. They have incredible reflexes, and they can bite even hours after dying. Just imagine being bite by a dead snake! The bite is just as deadly, but getting over the dramatic aspect, you can’t refrain from observing the irony in this.